We packed our belongings again in the Pilot villa. Augustin came and secured the forty-eight cardboard boxes of lamps on the roof of the presidential car. It is a blessing that the car is large. Helén came with her employer and we paid for two nights and two dinners in the practical villa with strong ties to Sweden. Thus began the ten-mil long journey towards the ferry in Kimbemba. The trip took almost four hours. For quite a while, I was astonished by the improvement of the road compared to October 2010. But later on, after Yapeco invited us for coffee, it was noticeable that the rains had destroyed the road. Augustin drives the car safely and quickly, he parries cavities and he always honks before tight curves. When we caught sight of the Congo river, we felt that we could make it in time. 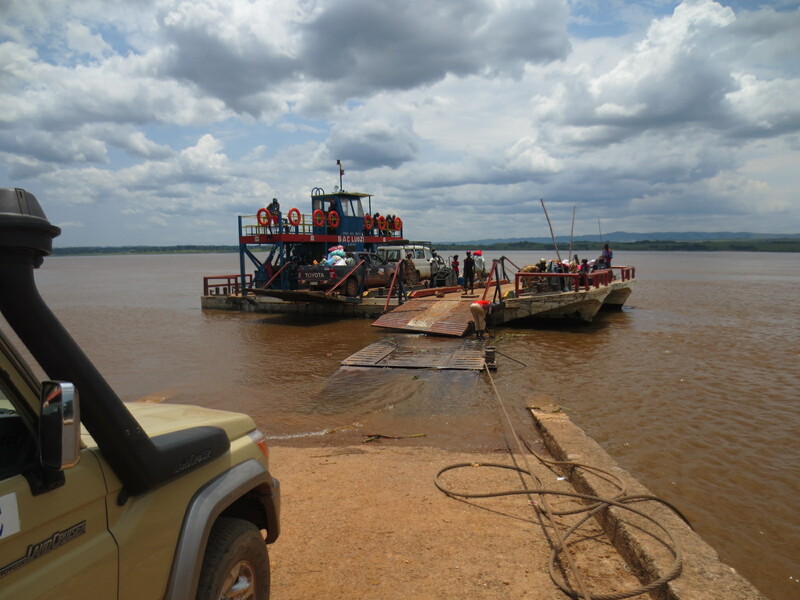 But the ferry had left the station when we arrived at Kimbemba. Luckily, Yapeco knows the captain of the ferry and he called him. The ferry turned around, and we were soon on board. We didn’t discern any hostility because of the delay. 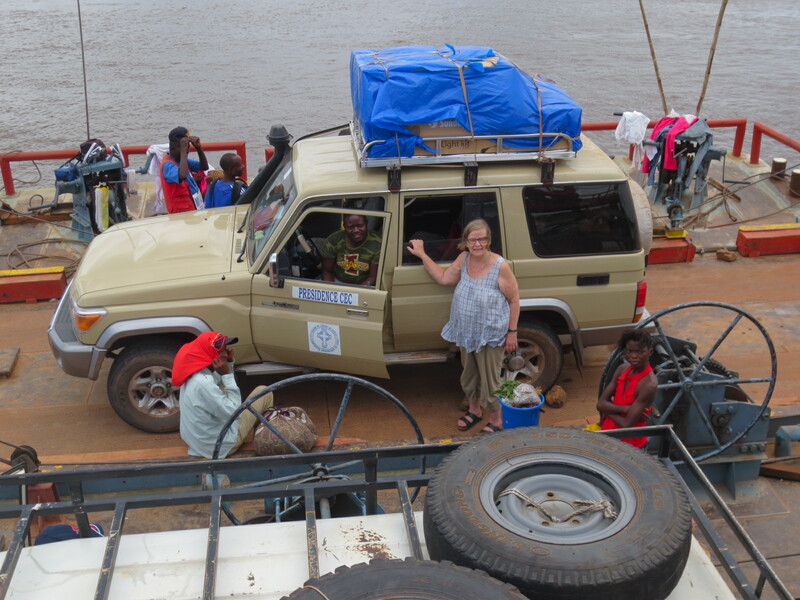 The ferry ride to Luozi feels safer than the trip across the Congo river, Kinshasa – Brazzaville. We went up to the CEC Church’s center and visited Gunnel Jönsson from Blidsberg. In the apartment next to her’s we would be able to leave the solar lamps that we are going to sell in Luozi. 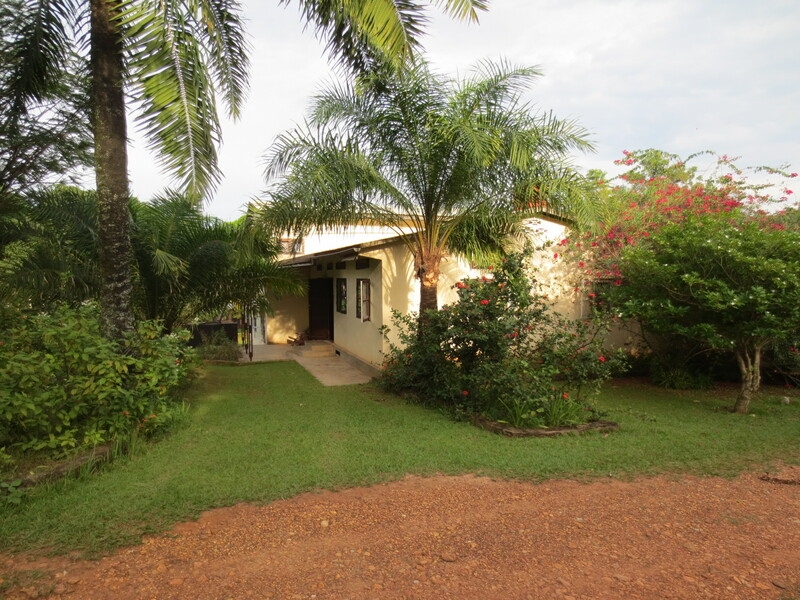 Gunnel told us that we would be sleeping in Ruth and Robert Diabanza’s nice villa and we went there with our bags. When we had made ourselves at home at Diabanza’s, we went back to the Gunnel’s apartment, where we had dinner made by Mama Pauline. 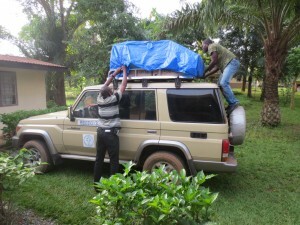 Pauline and Gunnel have collaborated all the eight years that Gunnel has worked in Congo. This summer, Gunnel will leave her post in Congo. She has been here for five years in a row in recent years. There is a five-year limit associated to the post. Gunnel has promised us that we can have all meals in her house. We would be just fine anywhere in Congo if I only could get used to the different diet. I guess I am considered choosy.